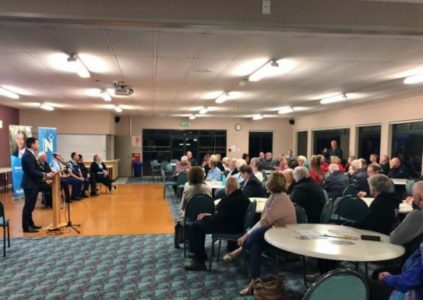 Look out for one another, get to know your neighbours, and always report crime to the police were some of the key messages outlined at a public meeting hosted by Simeon Brown, MP for Pakuranga, on the subject of law and order. “It was great to see so many locals turn up (last week) to discuss community safety and the problems we have in our area with those responsible for dealing with them,” says Mr Brown. “We all deserve to feel safe in our homes, on our streets, and out in our community, and we all must do our part to ensure that’s something we can continue to enjoy,” says Brown.